BCPS Google accounts to access it. The Hebron Academic Team typically meets on Wednesday afternoons from 3:00-4:30 in Mr. Franklin's Lab (Rm. 150). Regular season matches are held most Mondays through January. Please see the calendar below for exact dates. On game days, students are encouraged to bring a snack or approximately $5 to order pizza. Don't have a mobile phone? 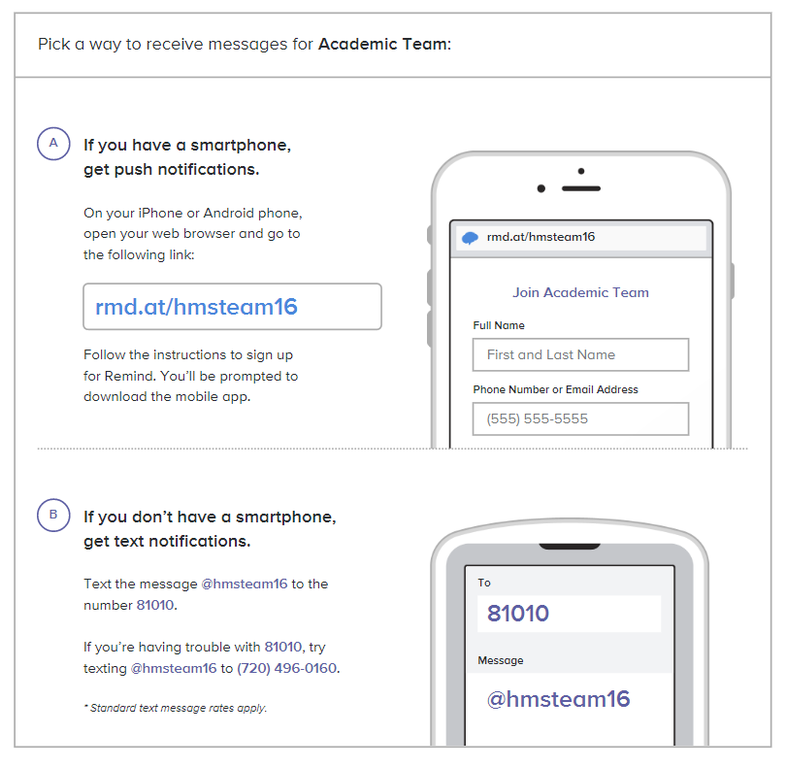 Go to remind.at/hmsteam16 to sign up for email notifications.